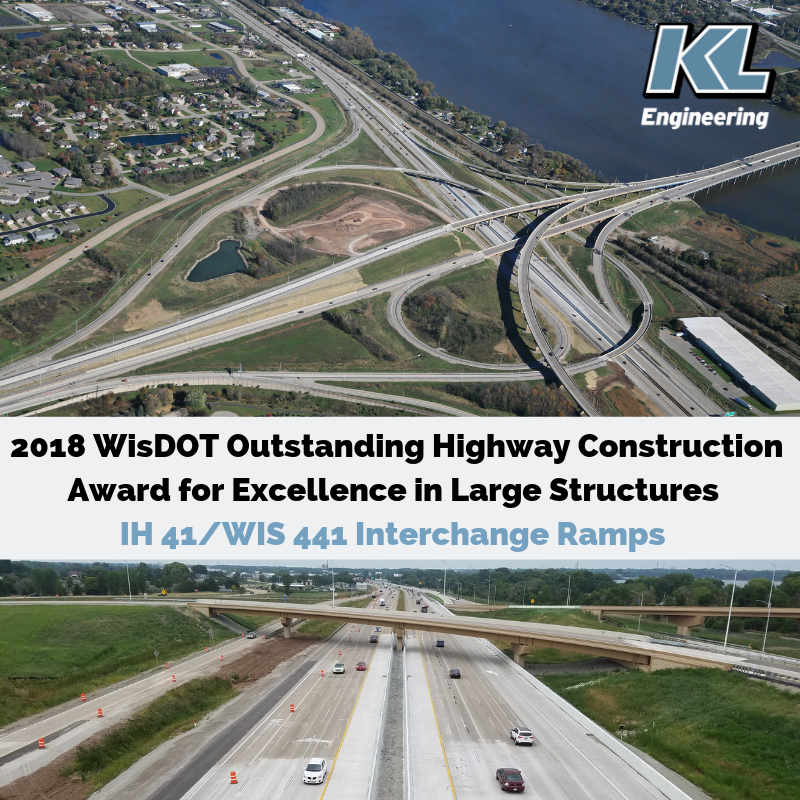 The IH 41 / WIS 441 Interchange Ramps project in Appleton, Wisconsin was recently honored with a 2018 WisDOT Outstanding Highway Construction Award for Excellence in Large Structures. KL Engineering provided construction oversight as support staff to WisDOT. The project constructed the new USH 10 East ramp to IH 41 North and the IH 41 North ramp to USH 10 West. The IH 41 North ramp to USH 10 West is the bridge that won the award.